(Location cited as NN 835 077). Greenloaning Station, opened 1848 by the Scottish Central Rly. Formerly a two-platform through station, the down-platform station building survives. This station is of the typical Scottish Central Rly. design, One-storey and attic on an L plan, with crow-stepped gables. The awning has been removed. 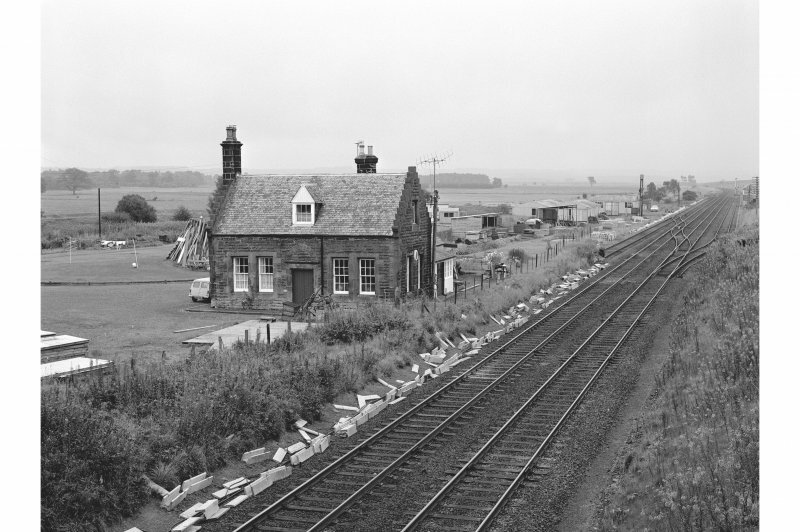 This intermediate station on the Stirling-Perth (main) line of the former Caledonian Rly. was also known as Greenloaning for Braco. It was opened by the Scottish Central Rly. on 22 May 1848 and closed to regular passenger traffic on 11 June 1956. The line itself remains in use. 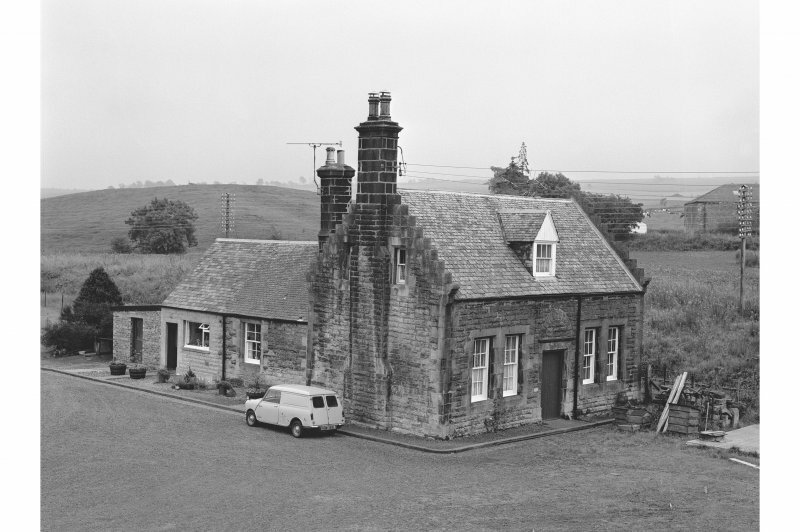 A former Caledonian Railway Company station, closed to passengers in 1956 which is visible on vertical air photographs (OS 83/134/004-5, flown 1983). Information from RCAHMS (RJCM/DE) July 1996.